25 years of innovation celebrated in a special way. AMATIC Industries is proud to report of an excellent ICE. Visitors came to the AMATIC booth in strength over all the three days. There was plenty to see. The larger and completely new designed stand, crowned by a giant LED vidiwall, was very well received by the ICE attendees. This was a very special ICE for AMATIC Industries as the company celebrates 25 years of innovation in 2018. The focus was placed on Multi Game right at the very beginning, making AMATIC a true pioneer in this field. This expertise has seen AMATIC Industries grow to the company it is today. 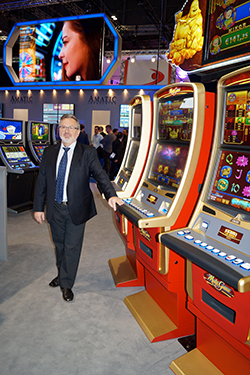 AMATIC Industries showed four clear segments of innovation at the ICE – Multi Game, the land-based slots choice including new jackpots, the automated electronic roulette and last, but not least, the AMANET online gaming division. 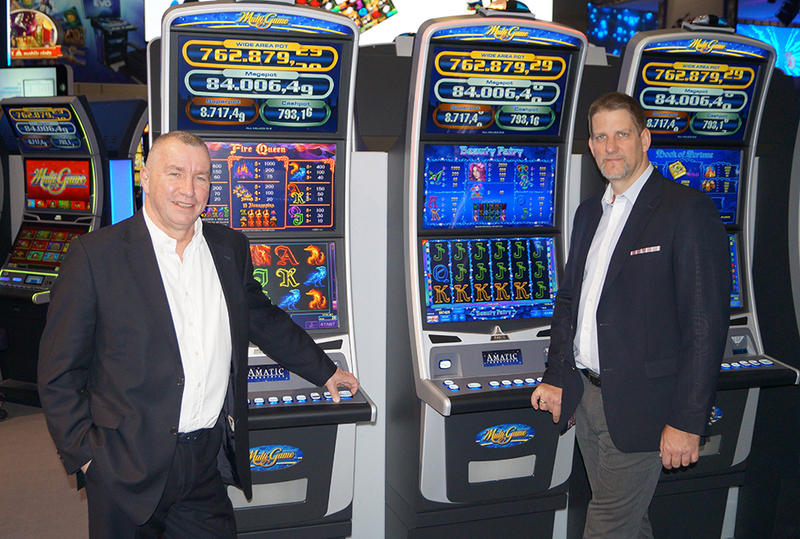 Beginning with Multi Game – AMATIC Industries creates all its games in-house and has amassed a great games choice. Nevertheless, the AMATIC team continually places focus on designing new games and an amazing number of 20 new games were introduced at the ICE. These include game titles such as ‘Golden Buddha’, ‘Around the World’, ‘Beauty Warrior’, ‘Fire Queen’, ‘Ice Queen’ or ‘Sunny Island’ just to name a few. AMATIC Industries is renowned for its stylish flair in cabinet design. This Austrian know-how was clear to see on the stand. The Performer Grand Arc slant-top and the Amarox C24 upright cabinets have quickly established themselves as the standard. The new, modern and clearer jackpot system gives another reason why to choose AMATIC. New for the show was the mystery hybrid jackpot game ‘Golden Buddha’ with large overhead display, enabling up to eight players at a time to play and try to win the common jackpot. AMATIC Industries has many years of experience and success in the automated roulette business as well. The extremely stylish Roulette Grand Jeu 24 HX is based on AMATIC’s own HARDROX hardware platform that leads to an even more safe and stabile operation. Up to eight players around the table can enjoy Roulette on large wide screens that portray pin-sharp graphics. All possible statistics are provided in an intuitive way. 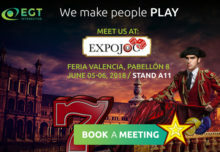 Furthermore, each Roulette Grand Jeu can be connected with any desired number of gaming terminals, thus giving many more people the chance to join the live Roulette experience. The AMATIC team showed the Roulette Grand Jeu 24 HX in two modern colours at the ICE – in racing yellow and AMATIC blue. Naturally the classic mahogany wood version remains available. The online gaming department is the fastest growing part at AMATIC Industries. AMANET is the name for the company’s’ online gaming division. The focus and philosophy that online players will enjoy proven land-based games are the basis of this success. All AMANET games are in HTML5 format – meaning that they can be easily played on online and mobile devices without any download requirement. Integration is made simple for online gaming providers. The dedicated support the AMATIC team offers ensures that integration is extremely simple. The rest then relates to the games and the shooting success from last year shows how popular AMATIC games are in the global online gaming world. Mr. Leopold Öller, Director at AMATIC Industries, looks back on a memorable ICE: “It is real a pleasure to celebrate our 25th anniversary in such a way, with so many visitors to our stand and the great buzz and positivity. We put great care and attention in everything we do and that is why we have such a strong reputation for innovation, quality and design. I’d like to thank everyone who came to see us – it was great to meet you all”.